So you’ve decided to create an epic blog post and you want your content to get discovered. In order to do this, you need to make sure that your content is optimized for search engines. 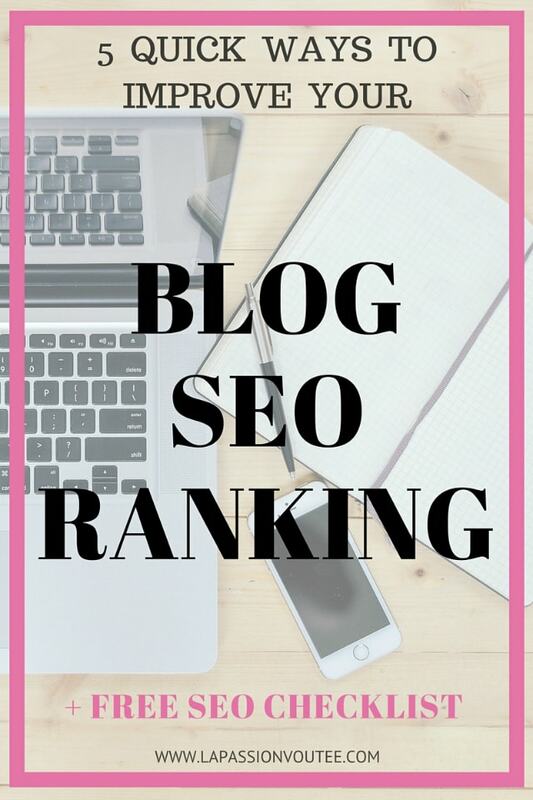 In this post, I will show you 5 quick ways to improve your blog SEO ranking on both WordPress and Blogspot hosted blogs. First thing first, your post title is what would lure visitors from search engines and even social networks to visit your blog. You want to make sure your post title is as clear as possible and includes keywords that you want to rank for. Long-tail keywords are usually the best way to improve your blog SEO ranking because they are more specific and less competitive when compared to single keywords. A long-tail keyword is a search term that consists of more than one word, which targets a narrow audience. For example, rather than writing a post about a “cruise”, you would write about “cruise reviews”. Use Google Keyword Planner to check for related keywords. It also shows you how competitive particular keywords are (Low, Medium, or High competition). Opt for narrower/more targeted keywords because it focuses on your target audience and has smaller competition. Tip: Keep your post title to less than 70 characters. If it is longer, your full title will viewable limit in search engines. Meta description (called Search Description in blogspot) is the description associated with your blog post that will show up in search engine. It is a concise and convincing overview of what a visitor would gain from visiting your blog. It is displayed underneath your post title in a search result. If you’re on WordPress, you can use Yoast or Jetpack plugin (both available in free versions) to edit your meta description. You’re not alone if you are on Blogspot. You can use SEO Review Tools, a free website to analyze your post. All you have to do is copy and paste your post content and it will give you a score and suggestions for improvement. I used it a lot to improve my blog SEO ranking when I was on blogger. Tip 1: Include your long-tail keyword in your meta description to increase the relevancy of your article. Tip 2: Keep it short, concise, and compelling preferably under 160 characters. A call to action motivates people to click through to your post because people generally like being told what to do. There are several ways you can optimize your images to make it work in your favor in search results. Very large images increase how long it takes for your site to load. It is recommended that your page/post loads within 5 seconds. If it takes longer, you run the risk of losing visitors which would increase your bounce rate. You can start off by resizing large images before your upload them. Free services like Flickr and PicMonkey can help you reduce the size of your images before you upload them. I have used both services and now use a photo editing software to resize images on my desktop. Try the Resize Image After Upload plugin if you’re on WordPress. P.S: Having too many plugins installed can also slow down your site. Equally important is the need to include “Alt(ernative) Text” on all your images. By providing alt text, you help search crawlers understand the information that your image signifies. Tip 1: Before uploading your images, rename the image file to a relevant keyword. For example, change it from “IMG000345” to “Your keywords 01”. Doing this lets search engine know that your images are relevant. Images will also show up under your keyword when someone uses the image search option on Google. Which would you rather read? A giant block of text containing 20 sentences or text broken down into digestible bits of 3-5 sentences? 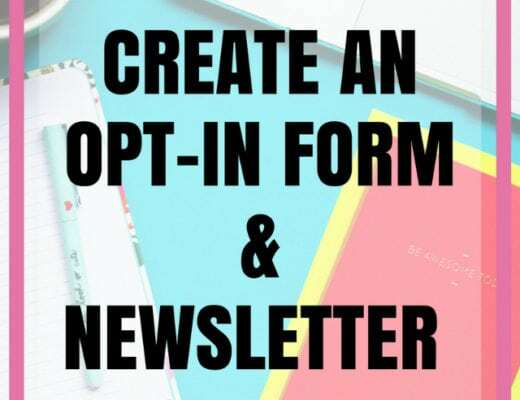 Utilizing good formatting will increase your users’ experience which will make them stay longer on your blog. Good use of header tags, bullet points, numbered lists, and paragraphs/white space also makes you content easier to read. Tip 1: You would rarely have to select H1 when writing your post if you use a theme that automatically makes your post title H1. So you will end up starting with H2. It varies from theme to theme on WordPress. If you’re on Blogspot, it’s a different ball game. I recommend reading this post on how to add H1 tag in Blogger AND backing up your template before making any changes. Warning: It is a little complicated. Tip 2: There is only one H1 tag per post (never repeat H1 tag). H2 through H6 tags are used in the body of your post. Tip 3: Use fonts that are easy to read. Break your content into sections using heading tags. Add bulleted points, numbered lists, tables (rows and columns) where appropriate to increase user experience. Linking to another relevant post within your blog (internal linking) is a great way to get backlinks to your blog. An example in this post is the “related post” I have just after the 3rd heading. Another way to get backlinks to your blog is by commenting on other blogs and website. Drop two relevant sentences as a comment and include your clickable blog link at the end. This will be covered in more depth in the follow up post next week on how to promote your blog post after you hit publish. Include this code after your comment to make your link clickable. Replace red font with your blog details. It is good practice to have a balance between outbound links (to other websites) and inbound links (links to your website). If there is another website that has information your readers may find useful, do link to that website. Linking to high authority domain will likely improve your blog SEO ranking. Tip 2: Affiliate links within your post should be marked as “no follow” since you get an incentive (commission) for linking to them. In Blogspot, you can do this by checking the box that says “Add ‘rel=nofollow” attribute. In WordPress, I use Ultimate Nofollow plugin to add the nofollow attribute. And that’s it my friends! These are 5 quick and very actionable tips you can implement to immediately improve the SEO ranking of your blog (I use them too). To help you remember these steps, you can download the FREE Search Engine Optimization Checklist below that I created just for you. Got questions or SEO tips not discussed in this post? Drop them in the comment section below. Wow…I must appreciate you for all these beautiful tips. I have a major issue with camera now, I don’t have a good camera to take pictures if myself. My question now is, if I put other free pictures related to what i.am writing about, would it affect my ranking? Hi Sylvia, I’m glad you find these tips helpful. I wouldn’t expect those to affect your ranking. There are many bloggers (e.g. 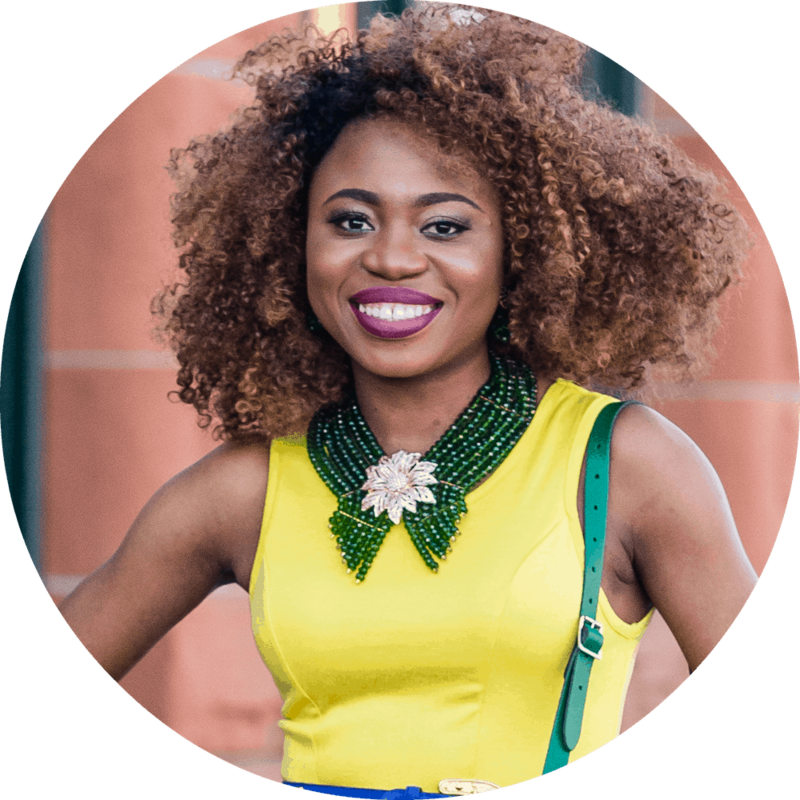 finance and deal bloggers) that almost never showcase their looks on their blogs. If you’re going the fashion/beauty route, it does add credibility to your content if readers can see how outfits look on you. You can do a mix of both or maybe borrow a camera from a friend, library or local rental and shoot a bunch of content at once. P.S: Make sure the photos you use are actually FREE. You don’t want to get sued for using someone’s copyrighted images. Not all photos on Google are free. Wow, I am so impressed with this your post! When I initially started reading it, I wasn’t sure if I was going to learn anything new or not. But once I started reading, I actually had to get a notepad and a pen to take down notes. One quick question though: You stated that “There is only one H1 tag per post (never repeat H1 tag)”. Is there a reason why this is the case? Hello Tega, I’m glad that you learned a few things from this post. To answer your question, you can only use one H1 tag per post. If you use more than one, you may get penalized. Think of it as writing a paper, you get to choose one headline. In this case, the headline is the title of your post (or H1 tag). H-tags help search engine robots to interpret your content because the hierarchy (H1, H2, H3, H4…) helps in organize your content for search engines and website visitors. Yes that is correct. There is no need to add the “no follow” attribute if you are not getting a commission or getting paid to promote the product. Thank you so much. This was really really helpful. Thank you. This was AWESOME.I only recently added meta description to my blog. I’ll work on optimising my titles. Thank you for sharing for both WordPress and Blogger users. You’re welcome Precious! I’m glad you found this helpful. I would recommend EWW Image optimizer for wordpress. This is the best i’ve used so far. Thank you so much for these tips, but I’m stuck on the meta description one. I’ve trawled through my wordpress and can’t seem to find where to edit my meta description from. I have jetpack installed, but i can’t find the option there too. Please can you offer any suggestions? Thanks a lot! Hello Lize, I’m happy you’re already implementing some of these tips 🙂 I use Yoast and tried searching for an article on how to edit meta description on Jetpack but came up short. I really don’t know how you’d do it on Jetpack 🙁 Sorry lady. 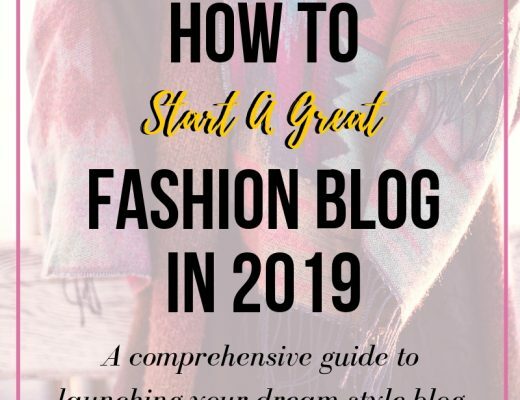 Great post Louisa… All are initial point of blogging but you really describe very well with images of each step.Blogging or Content marketing is very necessary to rank higher in your field. Matt Cutts also said that work for you audience not only for SEO. Very true Mandy! Thanks for stopping by. I didn’t know about meta data. I do have Yoast and use the SEO keyword. Thanks for the tip! I needed this post SO BAD!! Thank you so much!! This was so helpful and informative! You are very welcome Amanda. I’m glad it was helpful to you. Fabulous post girlfriend! I’m with ya on Yoast…it’s my FAVORITE for quick SEO optimization via WordPress! Learning all of these back end tips and tricks can make such a difference, but it can also be super overwhelming! Thanks for sharing your top 5 for nailing the SEO ranking! You’re welcome Jessica. Just take it one step at a time. Before you know it, it.ll become second nature. Really great tips! This is an area I need to work on for my blog, thanks so much for sharing! I especially need to work on alt text and subheadings! Thank you for these tips. My blog is four months old and I have so much to learn!! These were very helpful for me. Great info. I have a plugin for SEO but I never use it. I’ll start now. Yes get started using it. It may do you some good to go back and optimize previous posts. Great tips! I was glad to have read up on SEO basics early in my blogging journey, so this is very useful info for those just starting out and those further along who are always looking to gain more readers! Great tips! Thank you for sharing especially about renaming pictures. Thanks so much for the tips! I’ve been trying to step up my SEO game so these were super helpful. Very helpful! I’m definitely checking out the no-follow wordpress plugin!! Thanks! 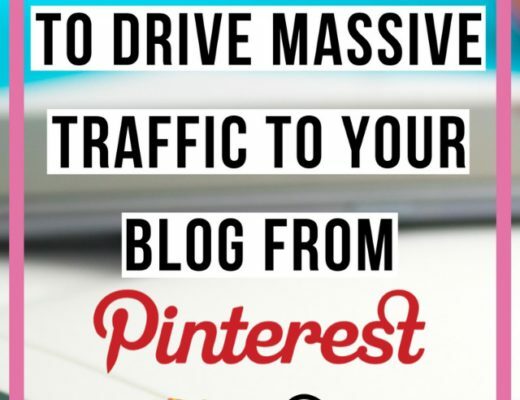 This is so helpful for anyone who has a website and wants more traffic. Thanks for the awesome tips ? I just got a job in digital marketing and am quickly learning the ins and outs of SEO! Great tips for newbies and pros alike. this is probably the most effective, helpful and easy to understand post on SEO that I have ever read. It was so thorough but so easy to read so thank you! Thanks Courtney. I’m glad it was thorough and easy to understand. These are all great tips for getting started with SEO. It is something I’ve seriously neglected on my blog. Thanks so much for sharing. I’m so glad you posted this! I’m pretty unfamiliar with SEO, but I know that it can really help drive traffic. Bookmarking this for a more thorough perusal as I use it to help me! Thanks! The pleasure is mine, Maryanne. Good luck! Thanks for posting such an informative post Louisa! I seriously need to get on top of things and make sure that my site is SEO friendly! Appreciate the help with leaning about ranking and key words. You have given me some great tips on what to do. Great tip, very insightful post, thanks for the clickable blog link code, I’ve been looking for it. You are very welcome Tessy! Great tips, Louisa. I just switched over to a self-hosted WordPress blog and I’m so thankful I did. These SEO tips will definitely come in handy. I appreciate how clearly you explained this. SEO can be overwhelming and confusing. you made it much more manageable. Thanks. Thanks for breaking down SEO! I’m a new blogger with a lot to learn! I’m going to make adjustments now to my site! My pleasure Ashleigh. I’m glad I was able to break it down for you. This is awesome! I’m still pretty much a newbie so anything I can learn is a plus in my book. Thank you for sharing! I love this! I’ve been having some issues with SEO, but this is really help me out! Happy to hear that this will help you Danielle. Awesome tips! I pined this for future reference. Thanks! Amber that’s so true. Hopefully you’ll be able to start implementing these tips soon. Wow, there are so many things I could be doing that I had NO idea about! I will definitely have to come back and take a closer look at your work when I have more time. Thanks so much for sharing your knowledge! My pleasure Kate. The first time is usually the slowest but once you get the hang of it, optimizing your posts for search engine becomes second nature. And it only takes a few minutes to do. Thank you for these great tips. I’m new to blogging and trying to find my place. Very helpful and easy to follow. Thanks Barrie. And congratulations with your blog. Let me know if you have any questions. I started out on blogspot a well. These are really some great and practical tips. Will definitely use the ones that I am not currently working on. oh my goodness, I feel silly even admitting this, but I never knew what the “toolbar toggle” did until now. You literally changed my life!!!! I’m glad I could help a sister! Great tips…I’ve never really paid attention to SEO, but I’m going to go re-label my images. Thanks for the help. My current struggle is one and two!! These are fab tips!! Thanks Angela! I’m happy these tips will help you with meta descriptions and optimizing the tile of your posts. Hi Louisa, thank you for these amazing tips. I have a few questions I would like clarifications on. Do you think I should edit each image I post on a blogpost like the ALT TEXT? and with the headings, I think my theme uses the paragraph and since I do no write as much I have found it to work just great. Do i have to use H1? Last question, with SEO optimization do I always have to use the meta description? Hey girl, each image should definitely have Alt Text. You can use different variations of your keywords or a keyword related to the image. As for headings, if you don’t have a lot of text (maybe it’s just a quick update) <300 words then you can do without headings. I just checked out your blog and your theme appears to automatically make your Post Title your H1 tag/heading so don't add any H1 tags into the body of your post (you should only have ONE H1 tag per post. Your post title is already your H1 tag so you're covered). It is always a good idea to add meta description for each post. I use Yoast and it'll automatically pull the first few sentences of your post as your meta description if you leave that section blank. Remember that the meta description is what attracts a potential visitor from search engine to check out your post. So you want to have text that will convince them to visit your blog. This was beyond helpful. Definitely going to apply some of these tips to my blog…never thought of linking people or of being better at captioning images. A friend told me about a couple of these but I didn’t see the need to implement them ( I was to lazy to add alt text to every picture I upload) but now I see the importance. The 4th tip is a bit confusing, is it something I can live without? If not please explain further. Hello Portia, I’m glad you found these tips helpful. Tip #4 is absolutely important (if not the most important). Organizing your content into headings (headers) helps search engine robots understand your content. For example, on your latest post “Trend Alert: Cold Shoulder” you can restructure the content with Header Tags (H2-H6) by style like this: Off-shoulder tops and Off-shoulder dresses then both of these can be broken down into smaller sections (e.g. off-shoulder crop top, off-shoulder midi dresses…). Think about it as you would write 20-page term paper. You would have an introduction/heading, maybe two subheadings, and maybe 3 minor headings under each subheading. It makes it easier for your visitors to read and for robots to understand what you are talking about. This is what how the header menu looks like in Blogspot (I’ve also updated the post to include to image for Blogspot). Great content! For someone new to blogging this is extremely helpful. In addition, you wrote it to explain it in a very basic easy to understand format. Most articles I’ve read are far to complicated for the beginner. Definitely will be referring back to this on my next blog post. I’m so happy this was very basic and easy to follow. And you are so right, SEO is a complicated topic to understand and I’m glad I was able to break it down 🙂 Thanks for stopping by Mara! I love this new series girl, definitely so helpful especially your tip on how to use alt texts and meta keywords. I’ve been using them but I guess I really didn’t know what I was doing. And I’ll definitely try google keyword planner. Ah you just made my day Sarah! 😀 I’m glad you’re finding this series helpful. I totally enjoy sharing my knowledge. Google Keyword Planner is a free and awesome (can’t get any better than that! ).